Sitting with one’s feelings seems simple enough to many people. 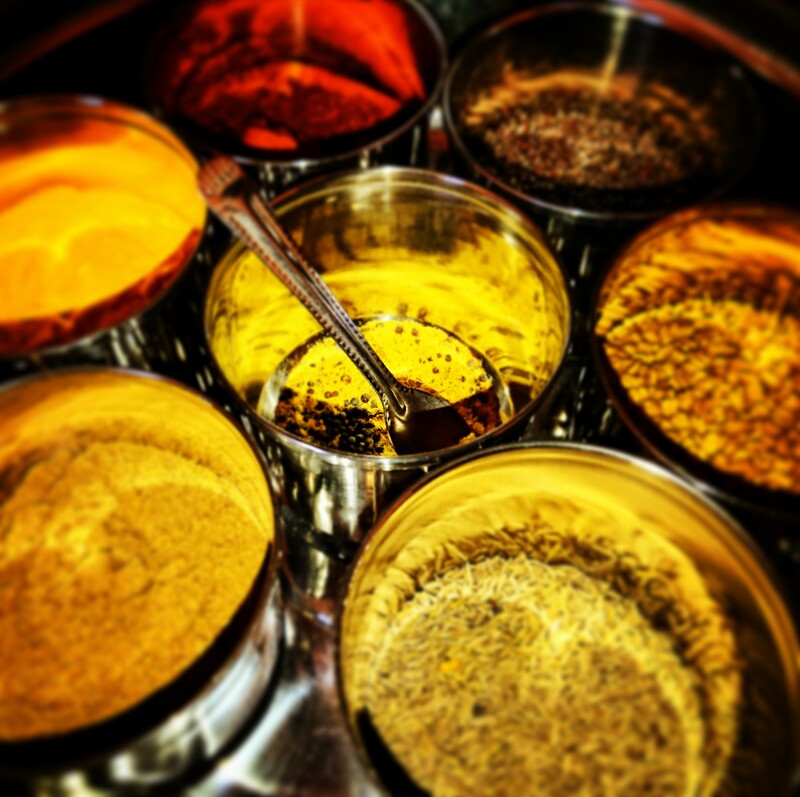 In fact, for most it comes naturally…they can handle all the mixtures of life as one big spice of life and move between measuring or just throwing everything into one big dish! Others treat life as a spice tin where each emotion has a different, separate tub and specific use. Dependant on which spice is used in which food, life can either be too bland or too overwhelming in flavour or once in a blue moon just perfect. One of the most telling signs of attempting to compartmentalize emotions is my obsessive compulsiveness. Imagine this setting: Sitting at a restaurant with some friends and family, everyone having a good laugh sharing food and drink. Time lapses and the evening is winding down. This hand out of nowhere reaches for the salt and pepper shakers, vinegar and oil set and puts them in a straight line or in some specific order. No one says anything because…well… they’re used to it. But it’s the first sign that I’m now anxious about the evening coming to a close; which will most likely give people a tinge of sadness and they’ll move on. Me? Nope, no time for that. I’ve got everything in order so I’ve anticipated those feelings and now that I’m prepared I’m not going to feel it. Avoidance strikes. My OCD 1 – My emotions 0. Being self-aware has created many complications. Being such a black and white person allowed me to always have control, be in control, always prepared. But it is a pretty crappy way to live. It’s like striving for perfection and then always being anxious because you’re not perfect and mentally you know no one can be perfect but you strive for it anyway and get anxious when you don’t reach perfectionism and mentally you know no one is perfect but you keep going in circles because…(let me catch myself first) striving for perfect is simple. Simple in the sense that you have a task, an action plan and you do what needs to be done. Then there’s the other side…the soppy side of this level of linear method of living which doesn’t require me to be grey; no sitting in any uncomfortable unknowns…feelings or otherwise. No trying something new in case you might not like it; always go for the same because it’s easier, less stressful and it’s known. Everything is boxed – people (yes, all of them), habits, routines, everything. But there’s a sadness to all of this that can’t be helped. This constant persistence to strive for perfection and be unemotional is tiring if nothing else. It’s unnatural and simply not fun. Trying to make a decision is the hardest but quite possibly the most enjoyable thing to do. It requires thought, feelings, an uncomfortable wait. If you’re like me, you’d always choose the same thing or make a decision so quickly that you would not have to deal with the uncomfortableness. I end up dealing with whatever repercussions my decision led me to which is easier because I did not weigh in on the decision so I cannot attach any emotion to it…so, oh well…whatever happens happens…whatevs! Why would anyone choose to live like this? Because it’s a comfortable known. Because feeling is hard. Even that slight uncomfortable feeling of deciding between tea or coffee is sometimes too much (especially after a long, tiring day of adulting). But maybe if we turn this thinking upside down and accept in essence that if nothing else about life is known but death then being uncomfortable seems irrelevant and maybe mixing spices isn’t the end of the world even though it might lead to less enjoyable meal!